We finally got to harvest! While harvest is usually underway by early October, that wasn’t the case this fall, due to day after day of rainy, cloudy weather — and even snow on Oct. 12. While the rain eventually stopped by mid-October, we couldn’t get out into the field right away. One of the biggest threats of jumping in the field too early after rain is getting heavy machinery stuck in the mud. It’s much better to be patient and wait. We started harvesting soybeans on the afternoon of Oct. 19. Farmers often wait until the afternoon to harvest crops, because we must wait for the dew and the damp conditions to dry up. Pollinator habitat. 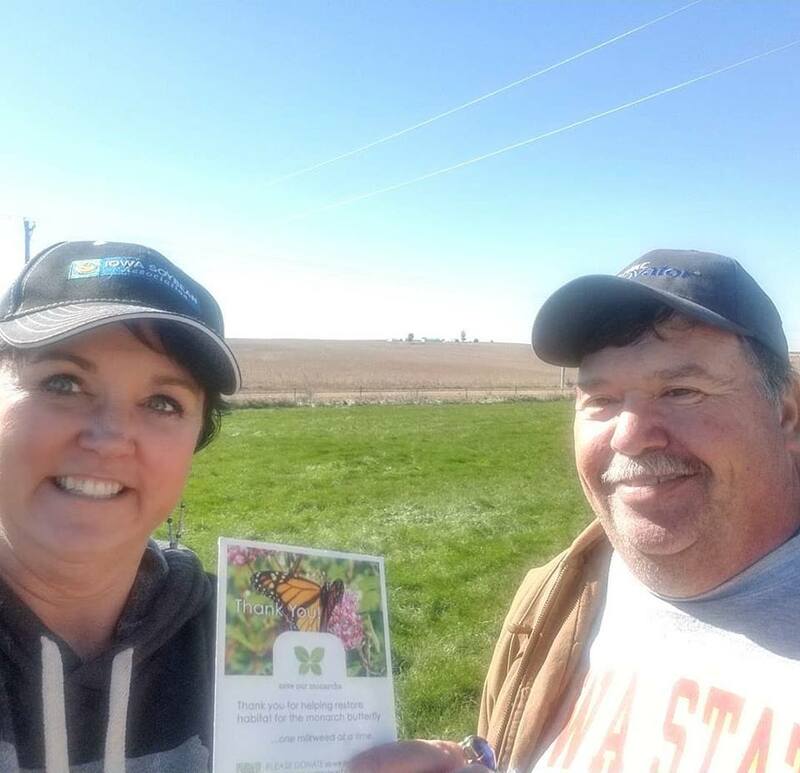 I’m looking at ways to add more pollinator habitat and conservation practices on our land here in rural Calhoun County. I’ve been working with Alan Wedemeyer, a consultant from Lake City, to discuss options. He also gave me some milkweed seeds to help restore habitat for monarch butterflies. Local ag leadership. I’m the president of the Calhoun County Corn Growers Association. While we don’t normally meet in October, due to harvest, the rain meant we could get together at the Lake City Drive-In. We met with Mike Sexton, our state representative, to ask questions and share local corn growers’ priorities for the next legislative session. Good food with friends. My neighbors Eric and Barb Richardson invited a small group of farmer friends to enjoy lunch at their farmhouse, courtesy of the “Vittles with Von” promotion from the Carroll radio station. This harvest promotion highlights the farmers in the radio station’s coverage area and is a way to say thank you for all their hard work. We enjoyed Rueben sandwiches, pasta salad and dessert provided by the Little Green Truck coffee shop in Auburn. It was nice to catch up with friends I don’t get to see during the rush of harvest. Farm dog contest. I love my red heeler, Maggie, and entered her in the Farm Dog of the Year contest. While she wasn’t a finalist, it was still fun to share her story. You can watch her amazing Frisbee skills in this video. Water quality meeting. Water is life, and I'm all for rural-urban partnerships to help protect Iowa's water quality. I visited the Iowa Soybean Association to recap my experiences with the Iowa Agriculture Water Alliance at the national One Water Conference in Minneapolis. It was great to be in the room with so many leaders from the City of Cedar Rapids, City of Des Moines, Iowa State University and Practical Farmers of Iowa who are working to identify opportunities to protect water quality in Iowa and beyond. We discussed how finding solutions means looking beyond your own fence line – that's the One Water concept. Tour of Adel brick factory. In my illustrated history of Dallas County book from Arcadia Publishing, I wrote about a brick and tile factory that has been part of Adel since 1880. 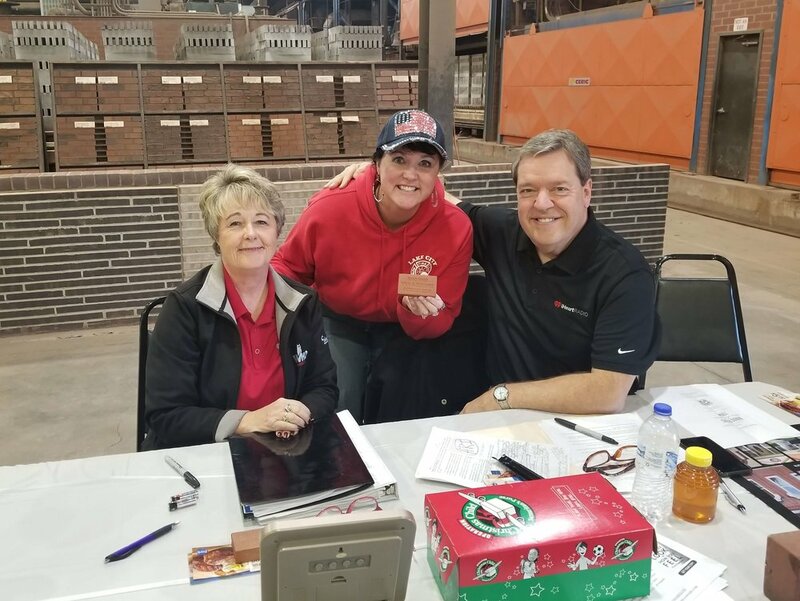 I fell in love with the history of this brick factory, so I jumped at the opportunity to join WHO Radio hosts Van Harden and Bonnie Lucas during their morning show at United Brick and Tile. Along with about 550 other visitors, I got a Van and Bonnie commemorative United Brick and learned cool tidbits about bricks. For example, there are 12,000 bricks in an average ranch style home and there are only three brick factories operating today in Iowa and they are located in Adel, Redfield and Sergeant Bluff. Historic Route 20. In my part of the world, we’ve been waiting for the completion of four-lane Highway 20 for 50 years. When hundreds of people gathered in Holstein on Oct. 19 for a ribbon-cutting celebration marking the completion of this milestone, the focus on the future was intertwined with the history of this remarkable road – which offers the perfect route for a road trip. “Highway 20 is the longest highway in America, spanning 3,365 miles from Boston, Massachusetts, to Newport, Oregon,” says Bryan Farr, founder and president of non-profit Historic US Route 20 Association. I met Bryan when he came to Sioux City this fall to give a program on the history of Highway 20. “Modern travelers aren’t always aware of Highway 20,” he says. “We want to make it a tourist destination like Route 66.” I wrote a blog post about this fascinating story. Food writing. Earlier this year, I had the chance to write for Travel Iowa to showcase the unique foods and flavors across our great state. So many of our food traditions and beloved dishes reflect our rich agricultural heritage in Iowa. Consider the corn Iowa farmers grow, which is fed to beef cattle for that unbeatable corn-fed beef flavor. Travel Iowa published my “Savor the Great Iowa Steakhouse Tour” article this summer. While steak is a Midwestern classic, restaurants across Iowa also offer diverse dishes from around the globe. Travel Iowa recently also published my story “Experience a World of Flavors in Iowa,” Yes, Iowa! You can experience a myriad of ethnic flavors from our cities to our small towns. Prepare to savor some must-try dishes with global flair from Jack’s Pho House in Marshalltown, Schera's Algerian American Restaurant in Elkader, Antojitos Carmen in Columbus Junction and Delicias Bakery in Storm Lake. When Mother Nature finally allowed us in the fields, we started harvesting soybeans. I ran the combine one Saturday evening. There’s nothing quite like seeing the world at 3.5 miles per hour. Yields and grain quality in this area have been good for soybeans and corn. 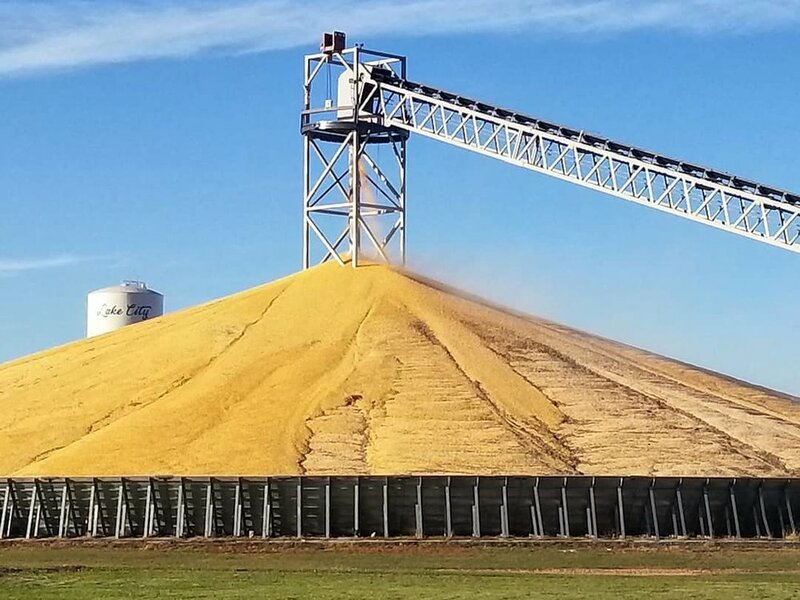 By the end of October, a “corn mountain” was forming as the co-op in Lake City piled it into a bunker. We don’t haul our grain to Lake City, though. It’s closer for us to take it to Landus Cooperative in Yetter. On Nov. 1, Maggie and I rode to Yetter with my brother, Jason, to haul a load of corn to the elevator before it closed at 7 p.m.
Not all our corn goes to the elevator. This year we planted a packet of Glass Gem corn. With colorful kernels, these ears of corn are great for fall decorating, and every ear is unique. Meals create special challenges at harvest. Since time is of the essence, many farmers either take a sack lunch, or their family may bring them dinner in the field. By request, I’ll be offering an “Easy Freezer Meals and Harvest Meals” program this February at the Iowa Farm Bureau’s Young Farmers Conference in Altoona. I’m also going to create a cookbook featuring these recipes, which come from my own kitchen and have been submitted by farm friends statewide. To capture the essence of harvest meals, I created my own photo shoot in one of our cornfields. I prepared Glazed Iowa Ham Balls, Creamy Corn Casserole, Extra Fudgy Brownies, homegrown apples and more. Then along comes Cole, one of our barn cats. I was on a ladder with a camera when he reached up and grabbed the tablecloth with his razor-sharp claws. Arrrggh! A few screams and harsh words later, disaster was averted! On these chilly fall days, I like to make casseroles and soups. 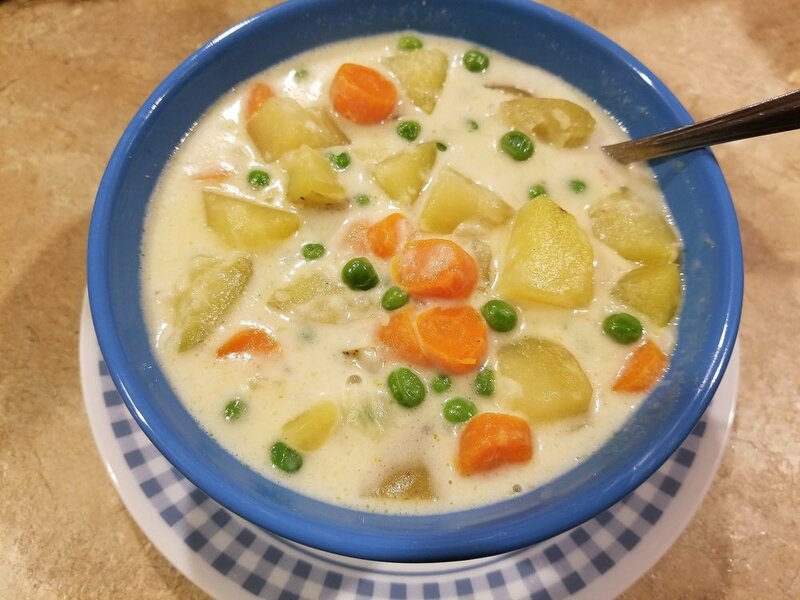 I was glad to see soup on the menu when I wrote a Farm Cooks feature story for Farm News (a newspaper based in Fort Dodge) showing recipes from Angie Petersen. She owns Angie’s Tea Garden, which is located on the northwest corner of Jefferson’s historic town square across from the Greene County courthouse. I’ve shared Angie’s wonderful Garden Soup recipe below so you can try it for yourself. Enjoy a taste of rural Iowa! Saute butter, garlic and onion. Add broth, potatoes, carrot, bouillon, garlic powder and bring to slow boil. Cook until potatoes and carrots are tender. Make thin paste with about half a cup of flour and half a cup of milk. Pour mixture gently into hot soup. Let soup thicken. Add cream and seasonings. Make the soup as thin or thick you want. This soup is good with any mix of vegetables. You can also add cheese for a cheesy soup.